January’s report from UN Secretary-General Antonio Guterres, Peacebuilding and Sustaining Peace, outlines different initiatives taken over the past two years in implementing sustainable peace resolutions, drawing on a variety of countries’ examples of joint analysis and planning, effective partnerships, and innovative approaches to financing. But although progress has been made, there are obstacles in the road ahead. I am an outsider to the United Nations—an academic who leads a multidisciplinary research team at Columbia University studying and modeling the dynamics of sustainably peaceful societies. Our review of the UN approach to sustaining peace has identified a few major challenges to its success—a central one being what may be called the “fear challenge.” An appreciation of this challenge can strengthen the capacity of the United Nations to support member states in sustaining peace. Research has long shown that humans have two fundamentally different ways of viewing the world: as a place with problems to be prevented and as a place with opportunities to be achieved. These two distinct lenses lead to profound differences in how we see, think, feel, act, and lead. Because problems are usually experienced as threats and instill fear, they have long been prioritized over opportunities in human decision making and institutions. This is evident in the dominant focus in medicine on preventing and treating illness and pathology rather than on promoting wellness and human thriving. Similarly, much of our thinking on international relations has long been dominated by a prevention mind-set based on the Hobbesian, realist assumptions that humans and their groups are intrinsically selfish, competitive, territorial warmongers who simply need to be prevented from killing one another.1 This basic belief was salient at the birth of the United Nations, which was formed in the wake of the horrors of World War II, Nazi death camps, and the nuclear nightmares in Hiroshima and Nagasaki. So it is logical that the United Nations’ orientation to its world peace mandate has long been focused on addressing crises and preventing problems like war and genocide—the crises are often urgent, and the problems are many and too often intractable. But there is a problem with focusing solely on preventing problems. Researchers in many areas—including medicine, psychology, education, and economics—have found that the treatment and prevention of problems like disease, ignorance, and poverty, albeit critical, are often insufficient to promoting positive states of well-being. Our group has also found this in our research on peacebuilding. In over 20 studies conducted in Israel-Palestine, we found that the motives that drive people to want to end the conflict are fundamentally distinct from those that drive people to want to work to promote peace.2 They are not opposites—they are qualitatively different causes. This essentially means that those of us who have spent our careers trying to study and promote peace have been missing half the story. This is evidenced by the fact that the vast majority of published research on peace focuses on negative peace or the elimination of overt forms of violence. Yes, preventing crises and addressing the root causes of conflict can reduce distrust, enmity, hostility, and violence within and between communities. But alone it will not promote trust, cooperation, common bonds, harmony, and peace. So the United Nations’ proposed transition toward preventing rather than reacting to conflict alone—while an important step—is not enough to achieve the goal of sustaining peace. What is also needed is the promotion, measurement, and tracking of those factors that foster peacefulness in societies—the positive elements. However, positive measures of intergroup trust, harmony, cooperation, and social integration are simply much less common, and it is harder to find existing state-level data. It is also true that states of positive peace are harder to measure than incidents of conflict, violence, and war, because they are more nuanced, multidimensional, and less salient, and therefore less observable at any point in time. In other words, it is easier to see acts of violence and war than states of positive peace. Nevertheless, we do know what to measure. As our research has shown, the study of peaceful societies teaches us that a few basic factors are associated with sustaining peace, including an overarching identity that unites groups across their differences; interconnections among subgroups through trade, intermarriage, sports teams, or associations; cooperative forms of interdependence due to mutual ecological or economic dependencies or common security interests; socialization of nonwarring values and taboos against violence in homes, schools, and communities; symbolism and ceremonies that reinforce and celebrate peace; and the physical safety of women, which is a better predictor of state peacefulness than levels of democracy, wealth, or religious fundamentalism. At the international level, research suggests that the emergence of territorial norms against conquest and violent succession, and supporting peaceful decolonization, combined with an increase in the availability and use of conflict-management processes like mediation, are associated with the movement of many bilateral state relationships in the direction of positive peace. So the positive indicators are increasingly clear. What Does This Mean for the United Nations? In light of this challenge, the United Nations should incentivize and support the systematic study of sustainably peaceful societies and international peace systems. 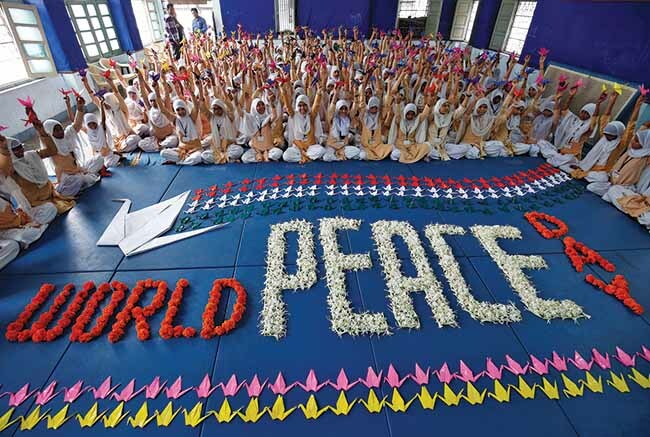 Doing so would further develop the evidence base for promoting sustainable peace. Furthermore, it should take measures that will develop its capacities to formulate policies that are conflict sensitive and peace promotive, to conduct conflict analyses and peace opportunity assessments on the ground, and to develop measures of and collect data on factors mitigating destructive conflict and promoting positive peace. A version of this article originally was published March 19, 2018, in the International Peace Institute’s Global Observatory. Peter Coleman is a professor of psychology and education at Columbia University, where he is the codirector of the Advanced Consortium on Cooperation, Conflict, and Complexity (AC4). 1 This myth has been roundly refuted by archaeological evidence finding that war is a relatively new invention and humans lived in peace for millions of years prior to the onset of the scourge of war. Archaeologist Jonathan Haas sums up the situation: “There is negligible evidence for any kind of warfare anywhere in the world before about 10,000 years ago.” J. Haas, The Anthropology of War (New York: Cambridge University Press, 1990). 2 P. T. Coleman, H. Moskowitz, T. Harel-Marian, N. El Zohm, J. Kaminskaia, S. Onufrey, and M. Braun, “Mining the Motives for Peace: Investigating Distinct Mind Types for Promoting Peace in Israel-Palestine (working paper). 3 The recent development of indices such as the Gross National Happiness Index and the Harmony Index speak to the potential to better understand the conditions promoting positive relations. How is this possible? Let us count the ways. It defines itself as a peaceful nation. In 1948, Costa Rica’s president, Jose Figueres Ferrer, the former leader of an armed revolution, chose peace. After being in power for only 18 months, Figueres granted women and blacks the right to vote, preserved and expanded the country’s social welfare system, and completely demilitarized. The absence of a military and the centrality of peace now are a pivotal part of the Costa Rican identity. It shares a well-developed vision of what peacefulness entails. Due to the absence of a military, the country has been able to direct resources into social welfare policies, including education, which has a constitutionally mandated spending minimum, has been made free and compulsory, and has been credited for the active involvement by citizens in policy debates. Costa Rica’s democratic tradition has ensured the continuous holding of free and fair elections since 1948. The Supreme Court also acknowledged peace as a human right. It emulates peaceful leaders and elites who model a commitment to peace and nonviolence. Since Figueres, Costa Rica’s leaders have been models of demilitarization, diplomacy, and neutrality and have promoted human rights throughout Central America. Notably, in 1987, then-President Oscar Arias received the Nobel Peace Prize for being the driving force behind the Esquipulas agreement, a regional peace plan signed by five Central American countries. It is motivated by cooperative forms of interdependence between groups and with other nations due to mutual dependencies or interests. Costa Rica has led arrangements for regional nuclear disarmament and is a party to the Central American Common Market, aimed at facilitating regional economic development. It supports integrative methods of governance that seek to create unity through participation of all citizens. Costa Rica’s government has sought the expertise of civil society and the private sector to inform policy. Legislation that changed the name of the country’s justice ministry to the Ministry of Justice and Peace and moved the ministry into peace promotion was an initiative of a nongovernment organization. It socializes its children and newcomers with peaceful values and taboos against violence. 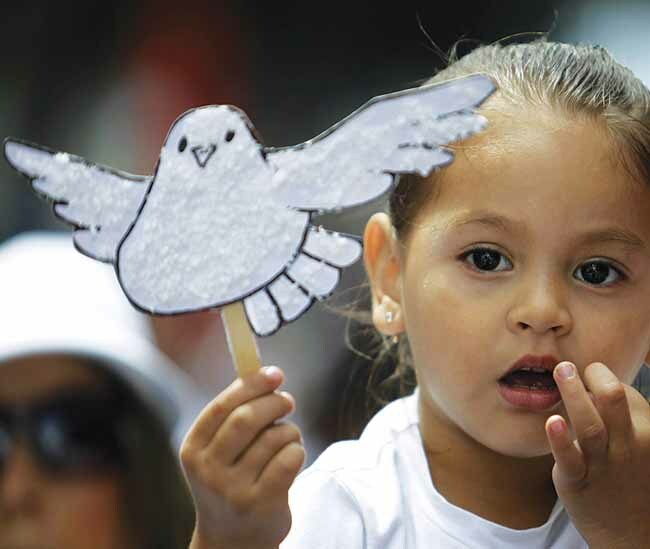 Since 1997, Costa Rica has required peace education in schools, which has developed the skills and knowledge that contribute to the country’s culture of peace. Costa Rica is also the site for the UN-mandated University of Peace. It promotes gender equality. Costa Rica ratified the Convention on the Elimination of All Forms of Discrimination Against Women and passed equal rights legislation. In comparison to the region and other developing countries, Costa Rican women have higher levels of education, social status, and political participation. It has institutionalized formal and informal conflict-management processes to handle grievances between groups and with nations. 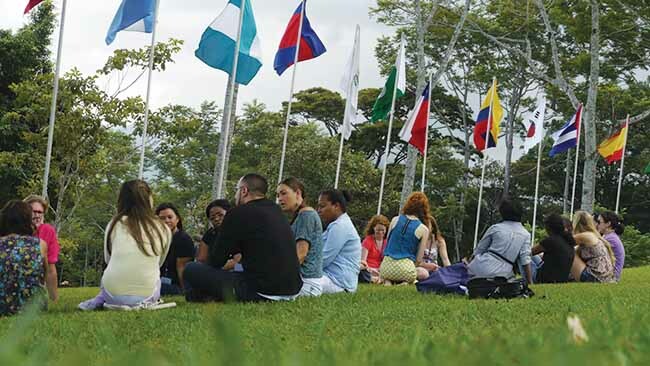 The law that mandated peace education included a commitment to peaceful conflict resolution, endorsing mediation whenever possible, and Costa Rica has established such practices in areas of its foreign affairs. It respects and enforces territorial norms against conquest and violent succession, and it supports peaceful decolonization. The Declaration of Perpetual, Active, and Unarmed Neutrality (1983) has informed Costa Rica’s international relations policy to not become involved in other nations’ conflicts. Costa Rica has also been active in the Organization of American States, founded to promote peace, justice, solidarity, and collaboration among its members. No state is perfect, and Costa Rica has been criticized for racial and economic inequalities, in particular toward immigrants, and rising rates of violence against women. Nevertheless, the authors selected Costa Rica as an example of a nation promoting opportunities for trust, cooperation, and commonality within its borders. 1 B.A. Peters, “Costa Rica,” in P. Joseph, ed., The SAGE Encyclopedia of War: Social Science Perspectives (Thousand Oaks, CA: SAGE Publications, 2017), p. 401.